Before you supply any personal details to us via the forms on this website please read our customer privacy notice document which is (https://www.furnleyhouse.co.uk/privacy-policy). This notice sets out how we will process the personal data that you provide to us in line with the General Data Protection Regulations. Once you have read the customer privacy notice, please tick to confirm that you have read it and that you agree to Furnley House to process your personal information for the purpose of contacting you. We will not use the details you provide us in the forms to market to you. Events – What’s Coming Up? Thank you to everyone who has helped to raise over £30,000 to help find a cure for Duchenne! 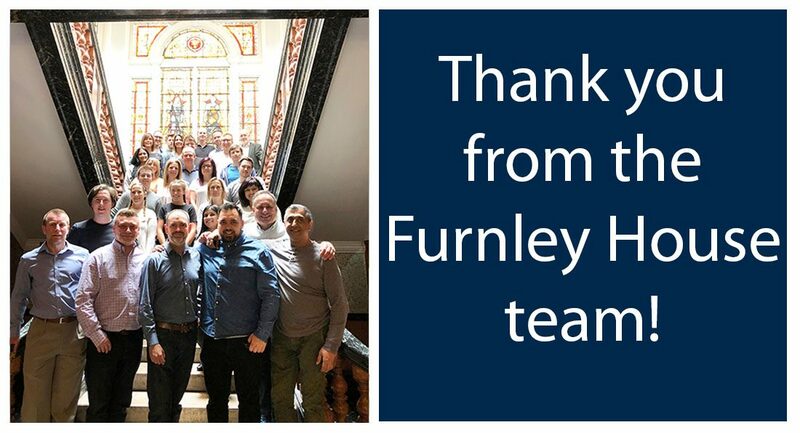 Earlier this year, Furnley House held a party to celebrate its fifth birthday with its staff. Collectively, we all agreed that we wanted to do something to bring the Furnley House community together. We often get involved in local charitable events and help to raise awareness and funds for local causes. This year, we chose to work with Alex’s Wish after being inspired by Emma Hallam, Alex’s mum and her mission to cure Duchenne. Duchenne Muscular Dystrophy. is a serious muscle-wasting disease affecting 1 in every 3,500 new born boys. Those affected are wheelchair bound in early teens and completely paralysed by late teens. It is 100% fatal and children will not live beyond their twenties. Currently, there is no cure or effective treatments that will help all children at present. A medical breakthrough is certainly imminent but more funding is desperately needed. Emma and Alex from Alex’s wish saying thank you for raising over £30,000! In recent years, the community has watched with hope as pre-clinical data has emerged showing the promise of gene therapy as a valuable treatment for everyone living with Duchenne Muscular Dystrophy. 2018 began with much hope: Three companies – Solid Biosciences, Sarepta and Pfizer, began dosing patients in separate clinical trials using this approach. And there’s been more exciting developments in the last few weeks. Solid Biosciences announced that the U.S Food and Drug Administration (FDA), had lifted the clinical hold on IGNITE DMD, the company’s Phase I/II clinical trial for its investigational microdystrophin gene transfer for the treatment of DMD. Solid Biosciences has dosed one patient so far and they are now free to continue to dose patients. – Alex’s Wish invested in this. Sarepta Therapeutics announced positive preliminary results from 3 of its patients dosed in its Phase 1/2a gene therapy clinical trial, conducted by Jerry Mendell M.D of Nationwide Children’s Hospital. All three children showed that they were producing micro-dystrophin in their muscle fibers. Consequently, they saw a significant drop in an enzyme known as creatine kinase (CK) which is indicative of muscle damage. No serious side effects were seen. With your help and donations, we’ve already raised over £30,000 but we’re not going to stop there -we’ve got lots more planned for the year to raise for funds to cure Duchenne! 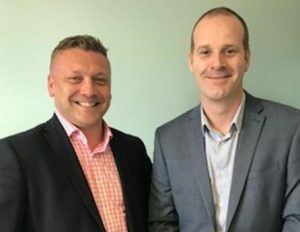 And you can continue to help by supporting two very brave colleagues who have ‘volunteered’ to do a tandem skydive on 11 August 2018…. John Woolhouse and Gordon Rodham nervously smiling after signing up to do a tandem parachute jump!